This section is a little different from the other newsletters. 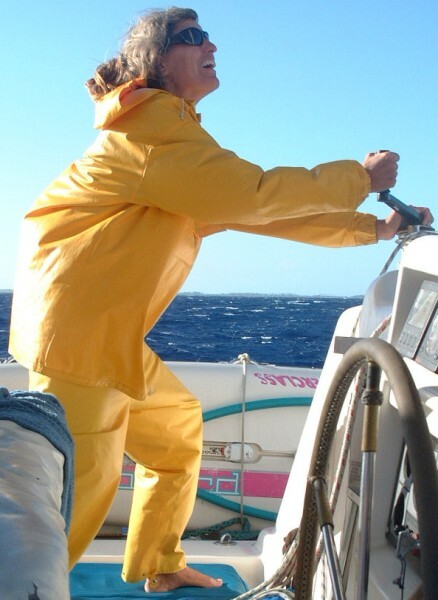 It starts with our (short, but rather miserable) passage down from the Marquesas to the Tuamotus on July 2-6, 2003. It then continues with newsletters on each of the 4 atolls we visited (Makemo, Tahanea, Fakarava, and Toau). These letters are not quite what we originally sent out by email. They've been rearranged so that each atoll is covered by a single newsletter, and embellished a bit where appropriate. You can also see each of our thoughts on the Tuamotus by visiting the Makemo, Tahanea, Fakarava, and Toau sections under Destinations. But these newsletters here, while having fewer pictures, were written as we were there, so they are more current and reflect our thoughts and feelings right at the moment.